I always loved Pogo when I was a kid. Walt Kelly's heirs tried to continue the strip after he was gone, but he proved irreplaceable, just like Mayor Bloomberg deludes himself to be. 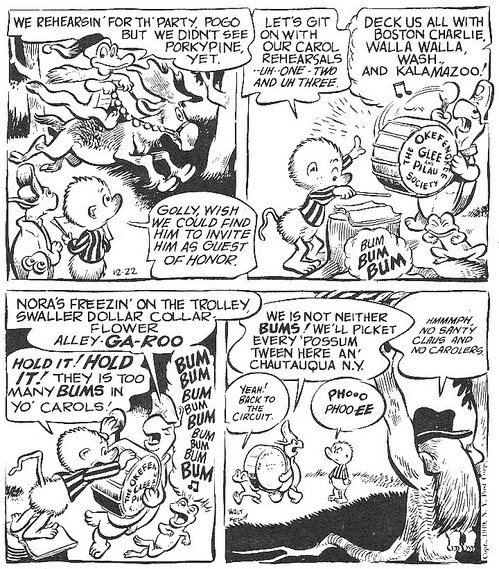 Sadly, Bloomberg's no Walt Kelly. But here's a Christmas carol from Pogo and company, the likes of which we won't see again. Hope you fare better than Nora this holiday season.